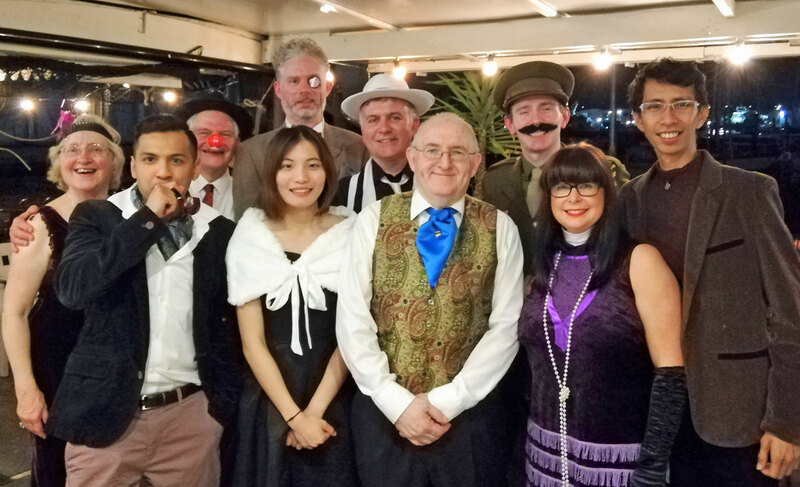 As part of the club’s tenth birthday celebrations a group of members took part in a specially staged Murder Mystery evening in the atmospheric setting of the Ferry Restaurant at Bursledon, a former chain ferry boat now re-used as as a quirky dining venue. 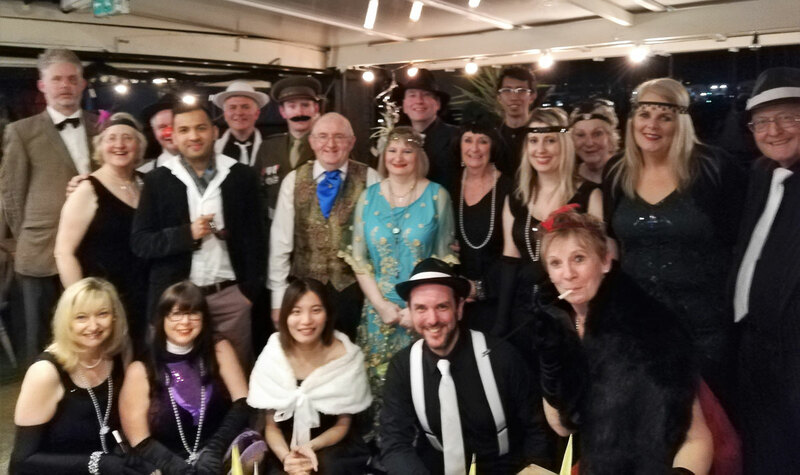 As you can see from the photo, members stepped outside their normal setting as speakers and added in imaginative costumes to enhance the roles they took in this fun evening. 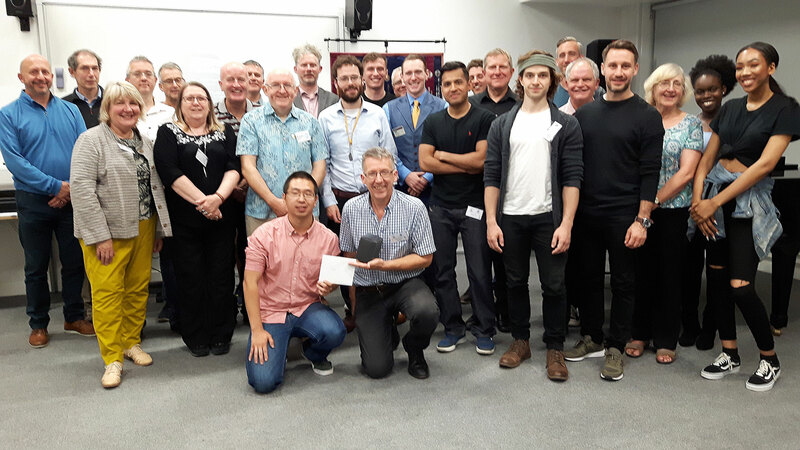 Organised by club founders Ken and Margaret Amy, the event was attended by a mix of long term and recent members who built friendships, enhanced their skills of acting and deduction as well as having a great evening out. The top picture shows the main actors in the mystery, the photo below shows everyone who attended.